On my travels I am often so intrigued by the food culture, particularly special dishes of the region. In Australia we don't specifically have a distinct food culture, it's fairly multi cultural, a lot of restaurants fuse different cuisines or feature different ones, so I find at home I am often eating dishes from all around the world. That's why I get so facsinated by the food in other countries- while yes western food seems to infiltrate all countries, there is still evidently strong presence of traditional food in other countries. 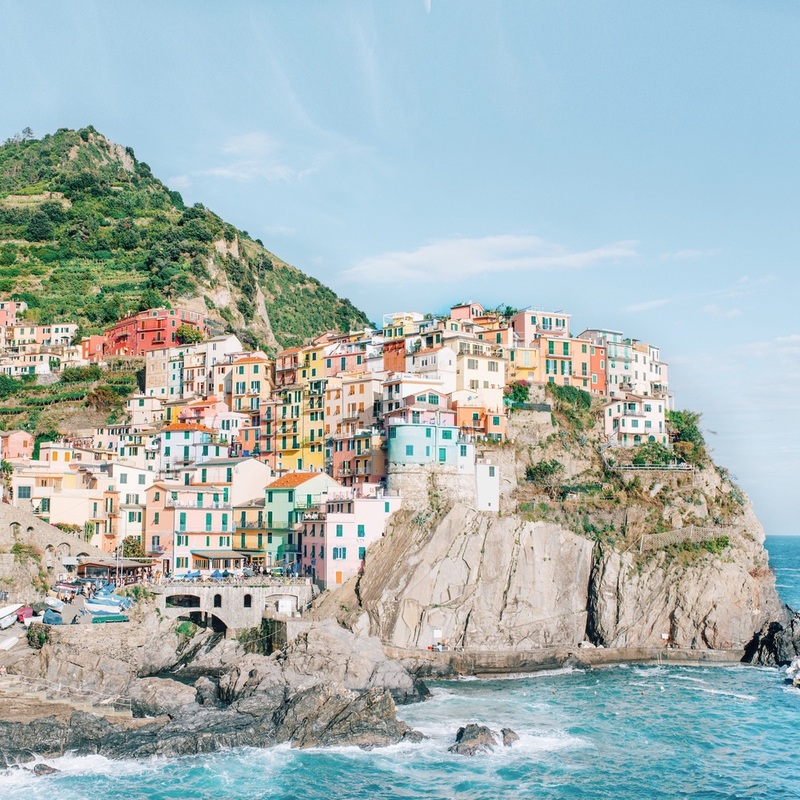 On my recent trip to Italy we visited the Cinque Terre national park, which is a coastline of 5 small fishing villages in the North West Liguria region of Italy. This dish - Trofie al Pesto particularly stood out to me as it was served in every restaurant and I had not seen it anywhere else. 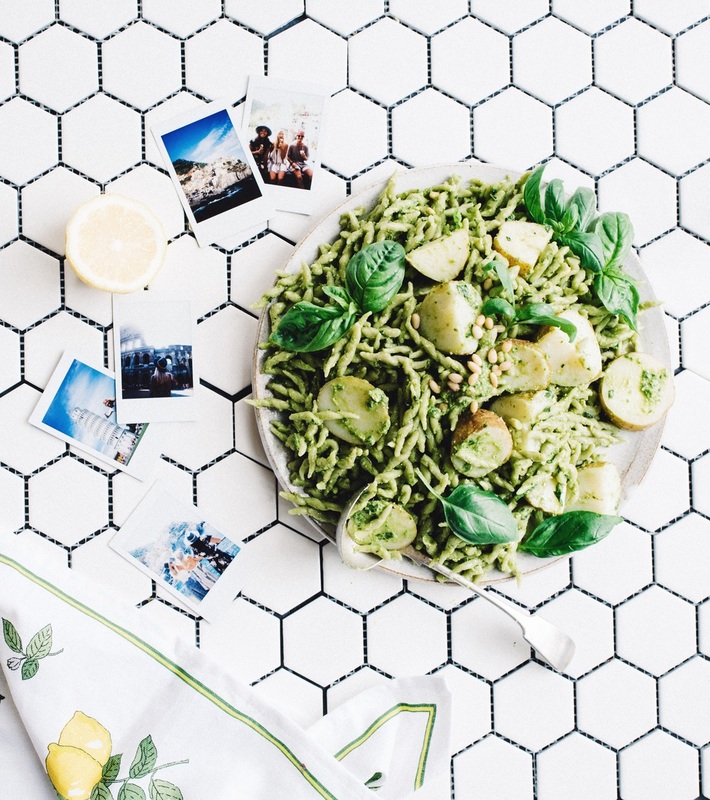 Trofie is a spiral shaped pasta (looks like little twisties) served with traditional pesto (which originates from Genova) and potatoes - carb heaven!!! Often the pesto has parmasen cheese through it, however traditionally Genovese pesto doesn't have cheese in it. I brought home with me a packet of this Trofie Verdi from Manarola (one of the five small fishing villages) as I wanted to try recreate this dish to share some of my travels with you at home!